From wearable music gloves to sound-augmenting earbuds, SXSW showcased the most cutting-edge tech for music lovers. Even though the Interactive portion of South By Southwest now draws more attendees than the Music portion, the festival’s musical roots still resonate throughout its entire duration. For tech companies debuting their newest music gadgets, it makes sense that they come to SXSW to try to make a scene. Watch the video above to see the three coolest, never-before-seen music gadgets we got to play with while in Austin. Goodbye headphones, hello neckbands. 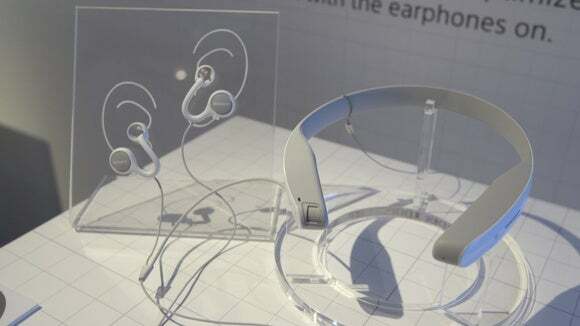 Next-generation headphones will wrap around your neck, instead of going on your head—or at least, that’s what Sony intends. At Sony’s Future Lab, I got to try on the company’s “N” neckband prototype that plays music via Bluetooth. If you don’t want to distract people around you, you can also attach a special pair of earbuds that have an open design so they still don’t block out ambient sound around you. This is particularly helpful is you still want to have a conversation or hear if a car is headed your way. The N is hands-free; thanks to Sony’s speech recognition technology, you can just tell it to pause or skip a song. Sony has also partnered with other services so you can ask the N the weather or tap into GPS to find nearby places from Yelp. The coolest thing you can ask the N to do is to take a picture with its tiny built-in camera. The N is still in the prototype phase, but Sony tells us that we can expect a new version we can test this summer. 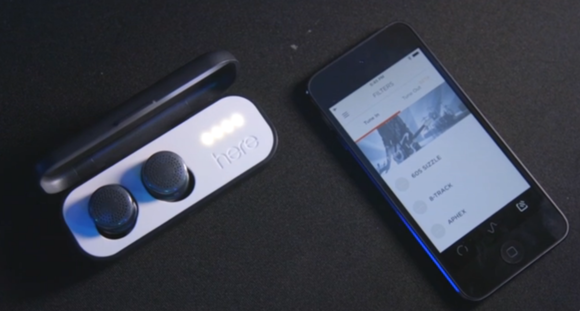 Of course, South By Southwest would have the world’s first augmented sound concert thanks to Here Active Listening, winner of this year’s SXSW “Best of Show.” Doppler Labs has created a pair of wireless earbuds that can instantly add different effects to the music you’re listening to. Think of it as adding Instagram filters to sound, which can augment the live music experience. You can use the Here app to switch between filters and effects, like adding an echo or pumping up the bass. The app also has some built-in presets to make a small intimate concert sound like a stadium show, or an intimate performance at Carnegia Hall, or even an far-out space opera with its “Stratosphere” setting. If you’re not the head-bangin’ type, the Here earbuds also have some impressive noise-cancelling features. But unfortunately most of us are going to have to wait a little bit before being able to rock out with these earbuds. The Here Active Listening system is not yet available in stores and there is no set release date. If you’re going to the Coachella music festival next month, you had a chance to buy your own pair for $200. If not, you’ll have to join the waitlist behind 75,000 people. I’ve always been jealous of musicians who can play the guitar, the piano, and especially the drums. Thankfully, now we have the technology to make an artists out of even the least talented amongst us. 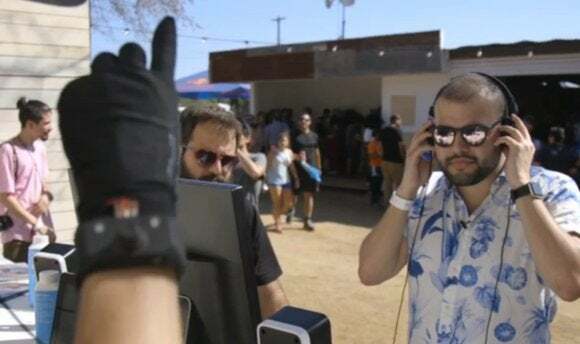 I went to the Arcade at the Fader Fort to try on Remidi’s brand-new T8 wearable instrument. It may look like just an ordinary glove, but this early prototype is loaded with eight sensors—one on each finger and three in the palm—so that every tap triggers a unique beat. The wristband acts as a controller, you can switch between four different sounds, and a special sensor lets you change the pitch by lifting or twisting your hand. The T8 uses Bluetooth to connect to your smartphone or desktop and can be integrated with other music software like Ableton Live and GarageBand, so you can record your one-handed masterpiece. The Remidi team successfully funded the T8 on Kickstarter, raising over $130,000. 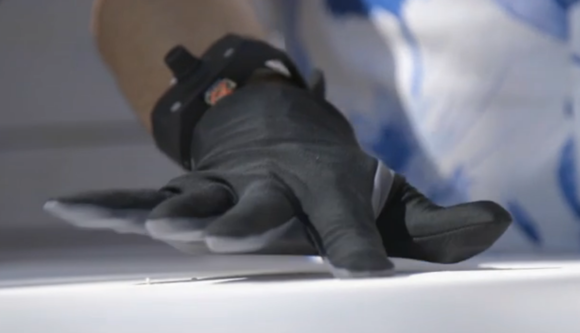 You can preorder your T8 glove now for $350, and they are expected to ship in September.